Human societies are politically organised systems, polities, which are themselves organised within a larger system, the international system (corresponding approximately to the second and third level of analysis of Kenneth Walz). Those systems, the shape they take, their specific socio-political organisation are not static but evolving over time out of various dynamics and underlying processes. As individuals, we feel rightly those systems as all-powerful, if we are aware of them. They are complex systems, the result of myriads of interactions at various levels that also generate emerging properties, which are then imposed upon each unit according to the level at which it is located. The force of the collective thus animates them. However, as we are also part of the individuals who interact and make the emerging properties, then we are not powerless. 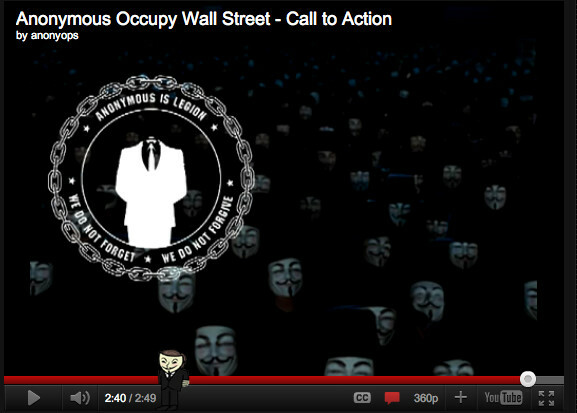 It is one of the great strength of Anonymous to have perceived this phenomenon and to spread empowerment in its message. 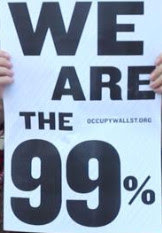 We can also see this at work in the slogan “We are the 99” used initially for A99 Operation Empire State Building (Video March 2011) and now adopted by Occupy Wall Street, or in the emphasis on democracy European revolution movements started last Spring. Furthermore, trying to understand how those collective forces evolve and where they are heading are one of the best ways to reduce uncertainty and get better prepared for a future that is already in the making, even if the fine details, if the specifics of the coming unfolding events remain shrouded in mystery. It is necessary to know why, where, when and how to act. This is valid for any actor, from you and me as individuals, to companies or any economic agent, and even more so to governments, present and future. To make sense of events and anticipate what might happen, we, as human beings, always rely upon a cognitive model, most of the time unconsciously (Epstein, 2008). The cognitive model that is used here (Lavoix, 2005) considers that as political systems function (more or less efficiently, at least efficiently enough to endure), they allow their corresponding societies to evolve and become more complex. Meanwhile, the political structures and forms of socio-political organisation would also need to adapt accordingly. However, who says human societies and systems, says interests, habits, norms, fears, etc., which are all changing at different pace and according to different dynamics. Hence, adaptation is most often made neither easily nor willingly. As political systems become increasingly ill-adapted, various movements of protests against the existing system emerge with an increasing frequency, while the whole system moves towards a higher level of tension. Those various movements of protests are the new opposition nexus. Those protests are at once symptoms of the need for change and actor of this change. Indeed, it is out of the interactions between the new opposition nexus and the existing political authorities nexus (that includes all political actors that contributed to create the existing system, the system that needs to be changed) that the new needed socio-political organisation will be progressively created. Meanwhile, both the new opposition and the actors composing the existing political authorities will evolve. Hence, for example, the apparent lack of clear, simple stated goal of the #OccupyWallStreet movement that is often thrown in their face in news articles is not a flaw, but evidence of their belonging to this process. Goals and ideas will evolve, while the apparent confusion may well come from the fact that they are read through old lenses, through the prism of a world that is already fading. It is in this framework that the various protest movements happening throughout the world are read and understood as part of a new opposition nexus. Observing them, trying to understand them, attempting to decipher if they are part of the new or of the old, or how both old and new can mix and interact, paying attention to their evolution, to their interactions with existing political authorities should give us keys to understand better what is lying ahead, from levels of tension and potential escalations, to the type of socio-political organisation our societies with their specificities, challenges and complexities need to create. There is no fatality towards success or failure, towards peaceful or violent change. However, if history is to be a guide, then, in the past, most often violence, wars and collapse of systems have also been needed, at one stage, to allow for the emergence of the new. Shall we be wiser? Epstein, Joshua M. “Why Model?” Santa Fe Institute Working Papers, 2008. Lavoix, Helene, ‘Nationalism’ and ‘genocide’: the construction of nation-ness, authority, and opposition – the case of Cambodia (1861-1979) – PhD Thesis – School of Oriental and African Studies (University of London), 2005. Waltz, Kenneth Neal, Man, the state, and war: a theoretical analysis, New York: Columbia Press University, 1954, 2001.